Vote for Riptide GP2 in Best App Ever FTW! Oh the joys! Riptide GP2 has been nominated as "Best Racing Game" on iOS in this year's Best App Ever Awards! 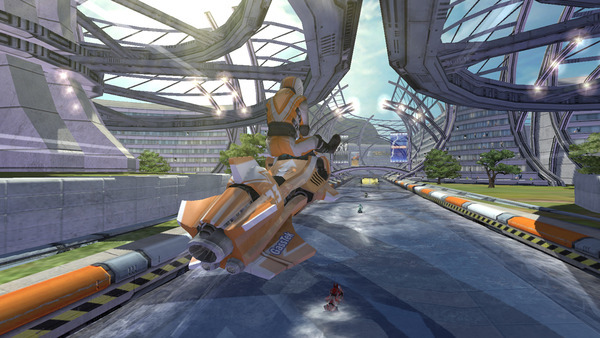 If you're reading this, we're just going to go ahead and assume you agree with us that Riptide GP2 actually IS the best racing game on iOS for 2013. I mean, think about it? Can you bust out a death-defying Mad Monkey in Asphalt 8? No, sir, you can not. So please click on this handy link and vote for Riptide GP2! And while you're at it, nominations for the Android part of the competition are open as well. Click this button to nominate Riptide GP2 as one of the Best Racing Games of 2013 on Android! For more information about the Best App Ever Awards, read the words on this page. We're thrilled to announce that Beach Buggy Blitz has been nominated for not one but TWO Best App Ever for Android Awards! Beach Buggy Blitz is nominated for both Best Racing and Most Innovative game categories. Please vote for us by clicking on one (or both!) of the links below. Voting is super easy, you don't have to sign up or give your email or anything! Voting is open til May 15, 2013. Winners will be announced at Google I/O in San Francisco that very same day. Incidentally, Riptide GP is also nominated for Best Racing Game, so if you really love Riptide GP more you can vote for it, too! You can find out more about the Best App Ever Awards here. We won! Thanks to everyone who voted and helped make Beach Buggy Blitz the #1 Racing Game in the Best App Ever Awards! Best App Ever Nominates Riptide GP! The 2011 Best App Ever Awards has nominated Riptide GP for Best Game Controls (Android) ! It would make us ever so happy if you could take a moment to follow the link below and vote for us! ...And we came in 3rd. But we're in pretty good company, so I ain't complainin'. Thanks to everybody who voted!